Although we have very slim business intelligence team, with the help of Matillion we could be able to built the BI stack from the ground up very efficiently, quickly and easily. The email support is very responsive and friendly. We found Matillion after demo-ing nearly eight different competitors in the market. What all the competitors lacked was flexibility; they would have pre-defined integrations, all with fairly nebulous offers of building a connector later. With Matillion - we can build our own connectors, not to mention they have some of the biggest ones pre-made for the market. We have no issues or limitations with a variety of big name APIs like Facebook, Google Adwords, etc. The UI is very intuitive, the ability to inject Python and bash is very useful, and the customer support and response times are excellent. For their native connectors, they are always on the ball insofar as updates. I consider Matillion an irreplaceable part of our infrastructure, and highly recommend it to others. Have been using various data transformation and load tool since the DTS days I can say Matillion ETL is hands-down on the best and easiest tool to learn. The online tutorial is very useful to learn how to use/configure each of the components. The tool is robust and reliable in loading the data into redshift. Their support is very responsive and follows up to make sure our needs are met. Great easy to use tool and wonderful support team. Matillion is pretty easy to use ETL load and has helped us stream line our DW, They provide excellent support and are always available. Among the several ETL tools we evaluated, and Matillion provided the best overall tool. Great Support team! And the tool has helped us build out our redshift very smoothly. With a very slim analytics team (and no data engineer), we were able to use matillion to set up the data warehouse very efficiently, allowing us to load the data, schedule complicated jobs, and make our data much more visible than before. We are able to pull data from the website, csvs, google sheets, analytics, etc. very fast. Their email support is always very responsive and follows up to ensure your needs are met. Such speed, so easy to learn! I can onboard new staff and have them understanding our data flows very quickly. I'd highly recommend this ETL tool for RedShift. We needed a simple ETL solution to ingest a large number of different data sources, some through APIs, several via CSV dumps into our existing Redshift databases, in order to feed our growing BI analysis offering to the wider business. We were recommended Matillion and after a short PoC discovered a very well structured, well documented and well supported solution that has enabled us to move forward on the project with confidence and a solid roadmap. 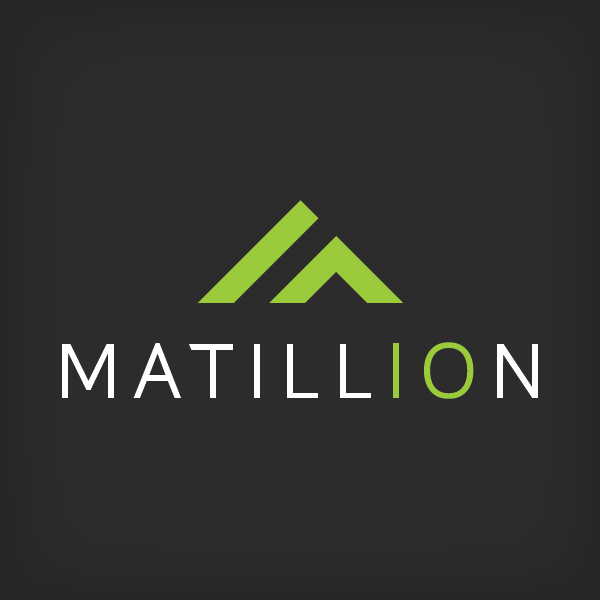 Matillion's support truly is excellent; they talked us through setting up an initial ETL and support for Facebook's API - which can be complex to implement. We wouldn't hesitate to recommend Matillion as both a technical ETL solution and a company. We evaluated several ETL/ELT solutions for Redshift as our datawarehouse of choice. We needed to ingest a large number of sources, mostly through API-s (marketing, social networks, etc.). There were one or two other solutions which matched Matillion's capabilities, but at a much higher price. We also wanted to start slowly so pay as you go model was perfect for us. We settled on Matillion and are very happy with the choice we made. With no prior experience with Matillion, we expected a rudimentary ELT tool, but were surprised to find a tool which had numerous connectors to various data sources. Matillion is a well thought through product - its structure (project groups-projects-folders-jobs-tasks) is perfectly combined with a native Redshift perspective (e.g. support for different environment). Native support for project versioning is an example of supporting functionality we did not expect to find. Documentation is clear and well structured with examples and videos for each topic. Q&A forums are publicly available and the community is active. Finally, compared to traditional, large ETL vendors Matillion support is superb. Proactive, but not pushy, fast to answer with concrete, technical answers. We've started using Matillion on a very small and simple scale with the goal to upgrade fast. Matillion delivered in the beginning by easy set up of the first jobs and providing good support via E-mail. once we started to expand it was remarkable how complete the package of matillion tools is to match much complexer needs. We would recommend this tool for anyone in need of ELT solutions in the redshift spectrum. I met with Matillion team at AWS Summit 2018 at Sydney, Australia. At that time we were using one of the legacy products as an ETL for our Redshift Data Warehouse. We were trying to adopt Continuous Integration/Continuous Delivery framework for our ETL and found it to be challenging for our environment. It was time to look for something new and say goodbye to our bellowed old ETL tool. So we had a conversation with Matillion team and quickly decided to do a POC. WeÃ¢ÂÂve evaluated couple of other tools in the past but nothing came close to Matillion. First of all, setup was a breeze. The migration was quick and painless, the system is very easy to work with. Almost more importantly, the Matillion team is very friendly and always willing to help, their support is outstanding! Matillion has dozens of native connectors out of the box, so we had no problem with integrations at all. In fact, migration to Matillion allowed us to drop couple of third party ETL components required for old tool to work with AWS infrastructure. Python scripts component allows to use Boto3 and hundreds of other libraries, so practically there is no limit of where you can use Matillion. We were finally able to build full scale CI/CD pipeline. Our setup uses combination of JIRA, Bitbucket and Bamboo build server and it works like a charm, thanks to MatillionÃ¢ÂÂs REST API. I give Matillion ETL 5 out of 5 rating.